My brother-in-law coined the term “Mountain Church” for all the Sundays we went hiking in the beautiful mountains of Oregon. I have not had the pleasure of hiking, yet, in New Zealand. This stamp is so inspiring, it called for a Mountain Church poem. Savor the poem my dears. This is the last week of Na/GloPoWriMo (poetry writing month) 2018. 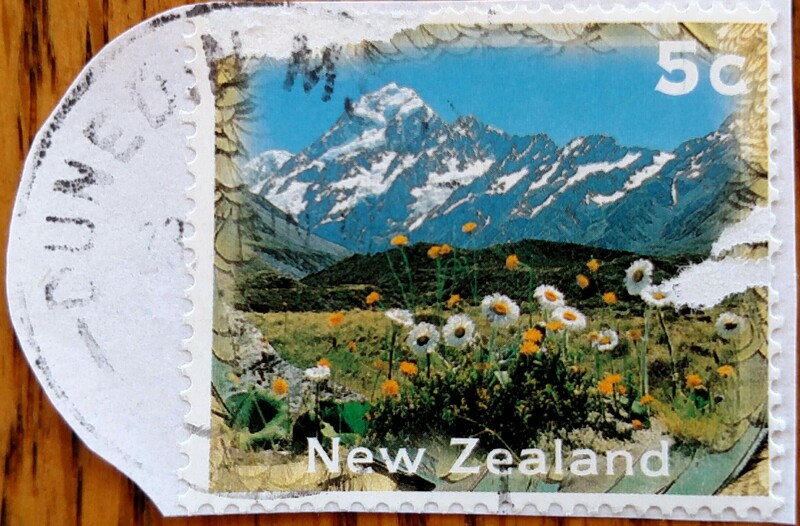 This entry was posted in NaPoWriMo and tagged all creation, church, daisies, God's creation, mountains, nature, New Zealand, Oregon, postage stamp, stamp, stamp collection, Sunday, wild flowers. Bookmark the permalink.